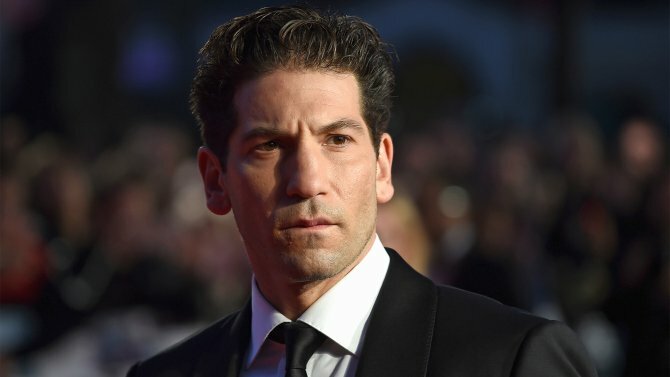 Fury and Daredevil star Jon Bernthal may have spent much of the past fortnight quelling rumors about a potential Marvel spinoff based on The Punisher, but there are other projects afoot for the actor, and Deadline is reporting that Bernthal has enlisted for Taylor Sheridan’s directorial debut, Wind River. Also starring fellow Avengers Jeremy Renner and Elizabeth Olsen, not to mention Graham Greene along with Julia Jones and Gil Birmingham of Twilight fame, today’s casting tidbit marks a reunion for Bernthal with Sheridan, who penned Denis Villeneuve’s intense white-knuckle ride Sicario late last year. Residing in the thriller genre, Wind River places Olsen in the role of a rookie FBI agent who, after investigating the death of a young girl, seeks the help of a local veteran (Renner). Shouldering a tragedy of his own, Renner’s haunted game tracker agrees to search for answers on a remote Native American reservation. Avenging the girl’s murder becomes top priority for Olsen’s law enforcer, but on which side of the law will Jon Bernthal find himself on this time round? No character details were disclosed at the time of writing. Wind River is currently filming in Park City, Utah, ahead of a release in later 2016. Are you excited to see Bernthal return to feature films following a brief excursion to the small screen? Let us know below!